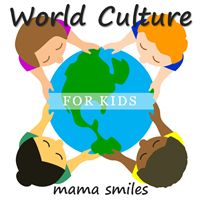 It’s been a long time since I published a post for my popular World Culture for Kids series! Today I am thrilled to bring the series back into action with the first of two posts about Cambodia from my sister Rebecca. 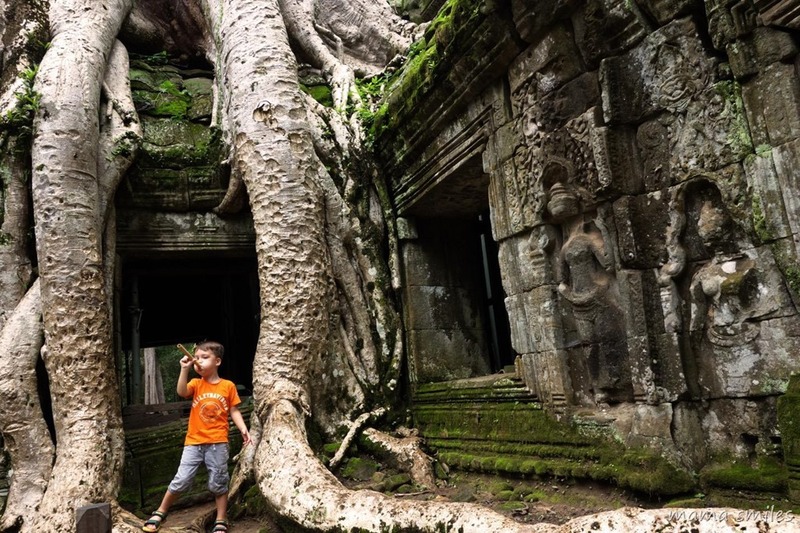 Rebecca dreamed of being a photographer for National Geographic as a kid, and while she works as a teacher in China and chases after her energetic multilingual son instead, her photos for this post of Cambodia’s Angkor National Park are pretty spectacular! 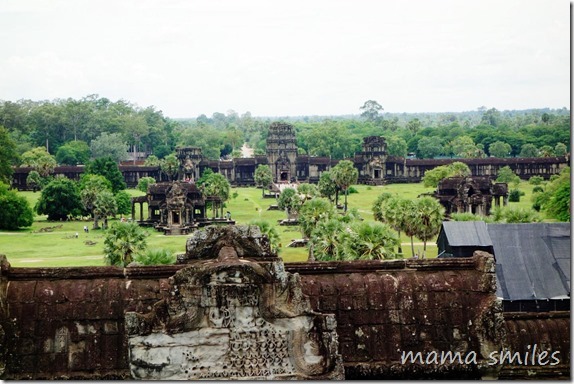 This is a very photo-heavy post, because it’s not every day you see a place like Angkor Wat! I first learned about a country called Cambodia in 5th or 6th grade, when I read Children of the River by Linda Crew, a very sweet love story between a Cambodian refugee making a new life on the West Coast of the United States and an American boy who is just beginning to learn and care about the world outside his own small-town life. This is still one of my favorite books, and the way Ms. 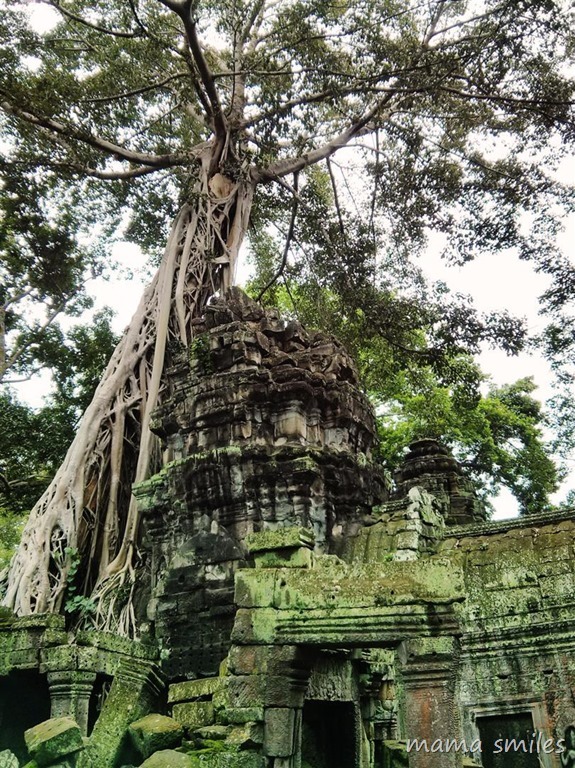 Crew described Cambodia through her characters (based on real Cambodian refugees she worked with and listened to) grew a love for a country I barely knew existed before discovering it in her words. 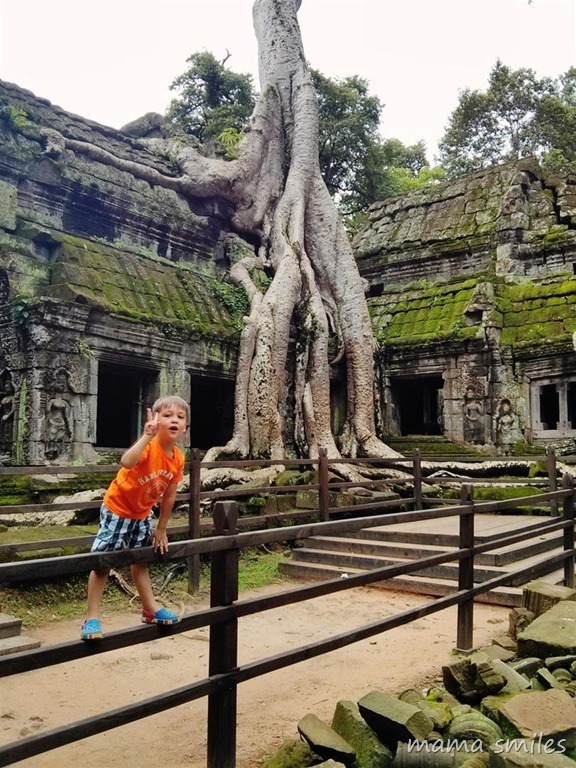 I few weeks ago I was able to travel to Cambodia with my husband and three-year-old son, Alec, and fell in love all over again. Here are some of the things we learned about this beautiful country and the bright-hearted people we met there. 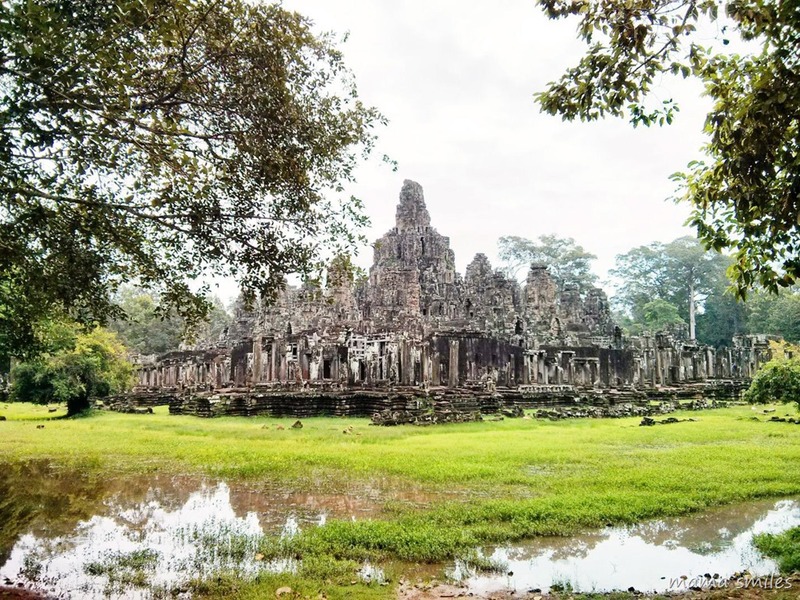 The focus of our visit was Angkor National Park, a UNESCO World Heritage site with the ruins of what was once one of the most advanced and populous cities in the world. 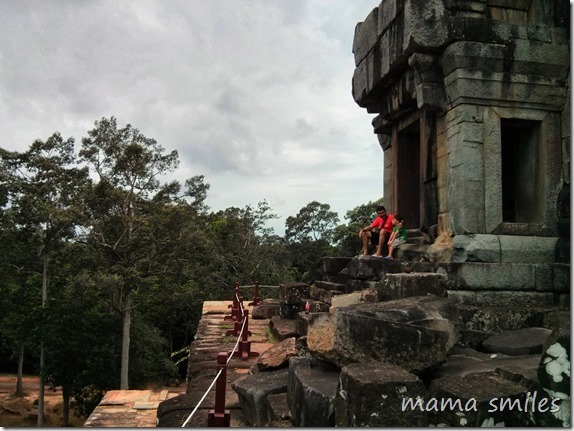 Angkor means “capital city” in Khmer, the language of Cambodia. 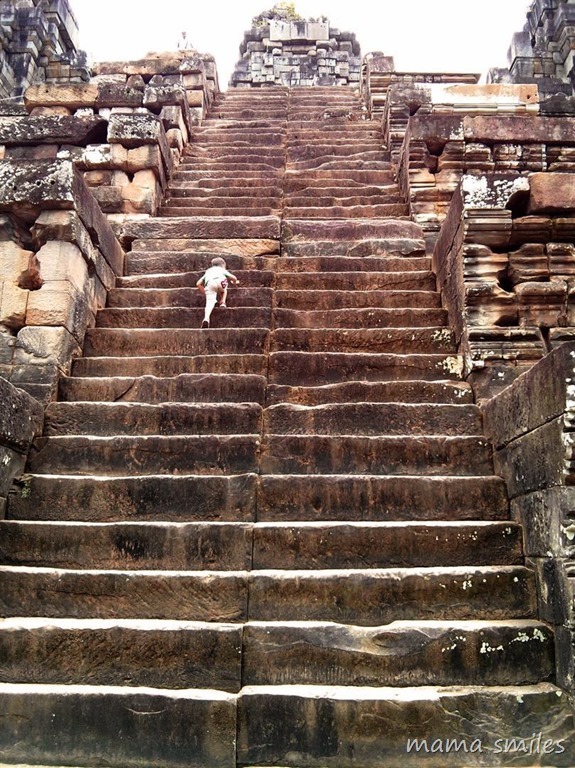 Angkor was the center of the Khmer empire, which archeologists believe existed from the 9th to 15th centuries. 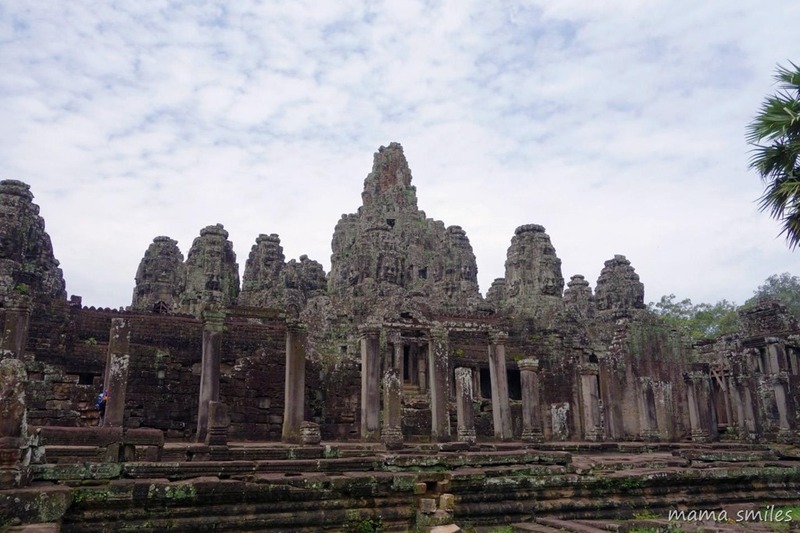 What was once the Khmer Empire is now the Kingdom of Cambodia, a nation in Southeast Asia bordered by Thailand, Laos, and Vietnam. In Khmer, Cambodia is កម្ពុជា, Kampuchea. There are thousands of fascinating archaeological sites within Angkor National park. The most famous, and most restored, are the temples. Most were built as Hindu places of worship, and were later converted into Buddhist shrines. They are active Buddhist shrines today, and a place of pilgrimage for many faithful Buddhists. 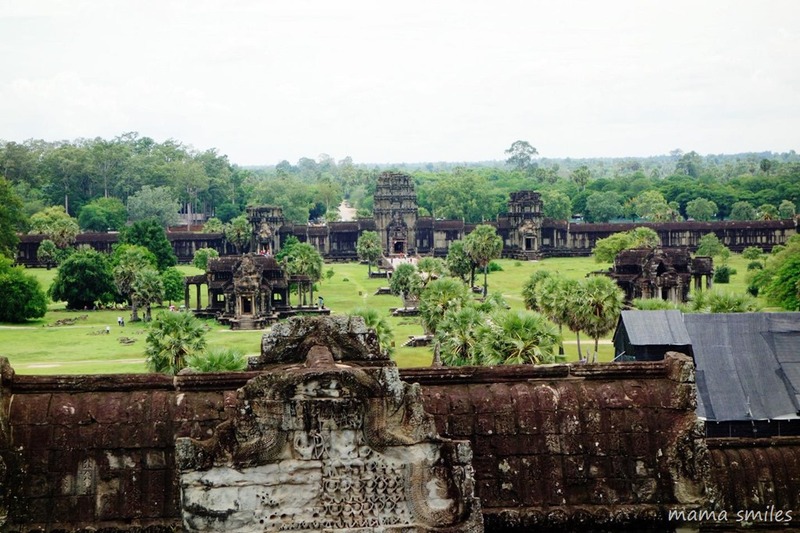 The above picture was taken from the highest tower in the biggest temple, Angkor Wat. 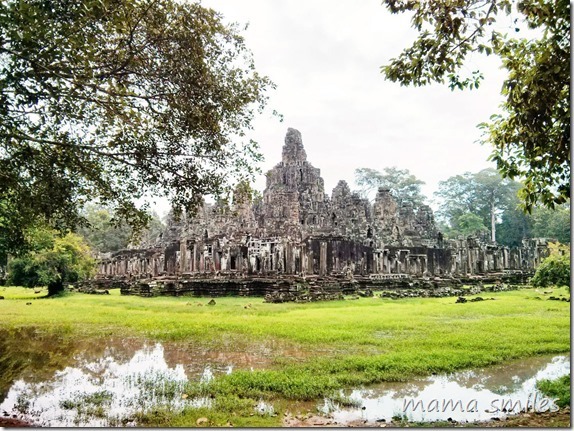 Angkor Wat means “City of Temples”, which describes it very well–it is walls within walls with enormous, beautiful temple-towers at the center, and every inch of wall is beautifully and intricately carved. 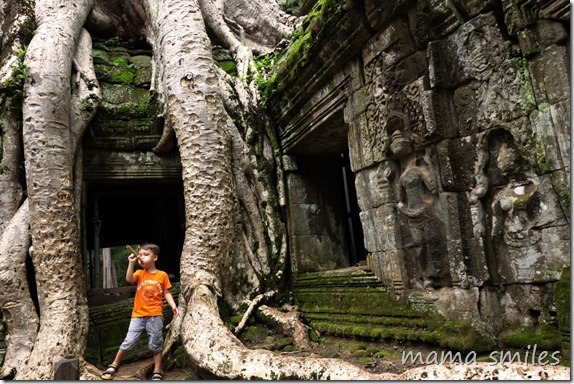 Here are some pictures of our favorite temple, Ta Prohm. It is deep in the jungle–and part of the jungle. Visiting these temples is like visiting another world, or traveling through time, or leaping into a fantasy story. It’s also a lot of fun! Especially if you love climbing, like Alec. Thank you for sharing your trip and photos, Rebecca! Come back next Thursday to learn about Alec and his family’s visit to the Water Village! 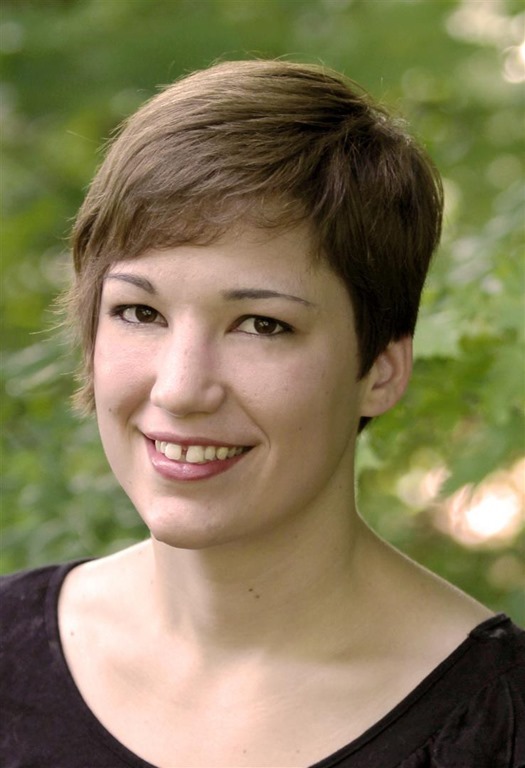 Rebecca Gataullin is a Third Culture Kid with too much world left to uncover. She lives in China, teaches bilingual 6th grade, is challenged by perfectionism and Chinese-character illiteracy, loves her Tatar husband and their raucous three-year-old Tatar-American TCK-Junior Alec, and writes in her dreams. 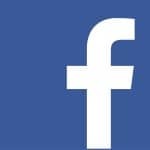 Would you like to contribute to this series? I love hearing about small-town USA every bit as much as further-away destinations like Cambodia! 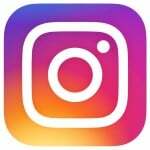 All I ask is that you use a child-friendly voice and your own photos! 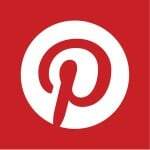 Email me at mamasmilesblog at gmail dot com if you are interested! Wow! Fantastic photos – must have been even more amazing in person. Isn’t it stunning? I hope I do make it there, someday. Okay, you know my heart lives in Cambodia! 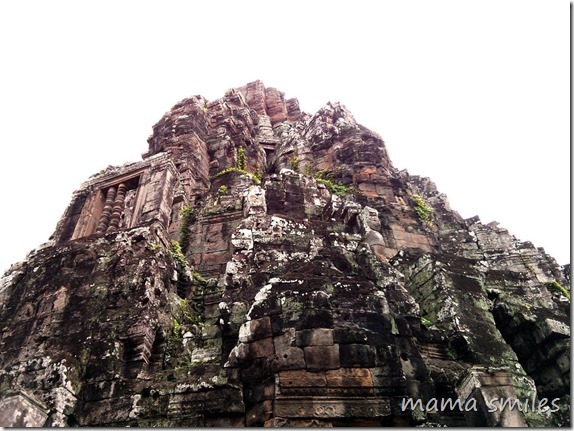 I dream of visiting Angkor Wat! However, each time I travel to Cambodia I am doing volunteer work and I just can’t tear myself away from all of the wonderful people with which I am working. 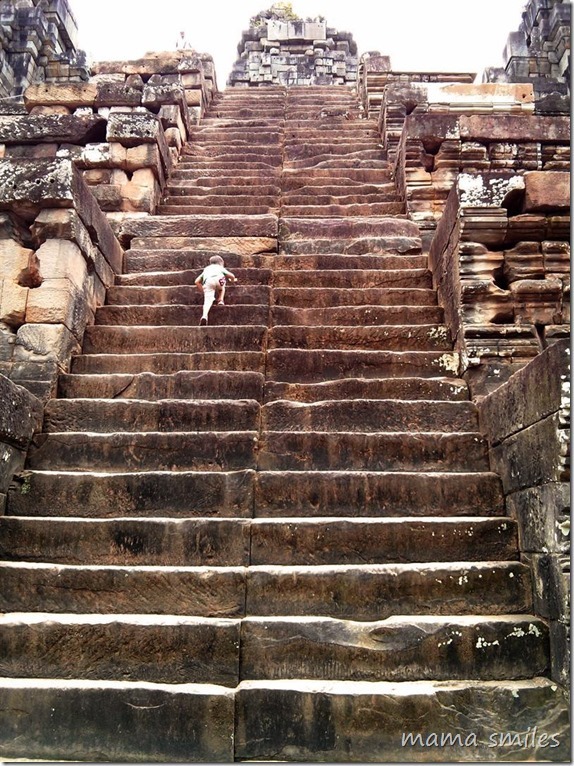 But some day I will stay in Cambodia long enough to experience Angkor Wat! I hope you do make it! You are doing very important work in Cambodia. 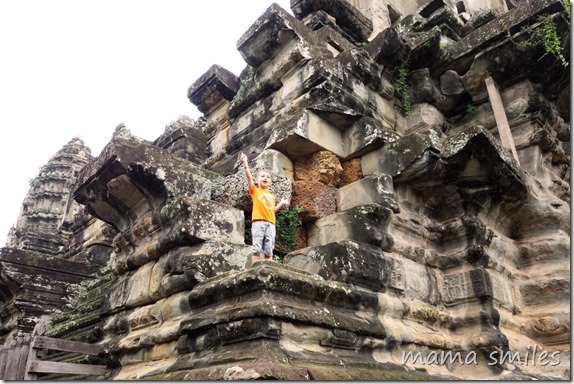 After visiting ancient ruins in Thailand many years ago, it has been on our bucket list to visit Angkor Wat. These gorgeous pictures remind me why I want to experience it. 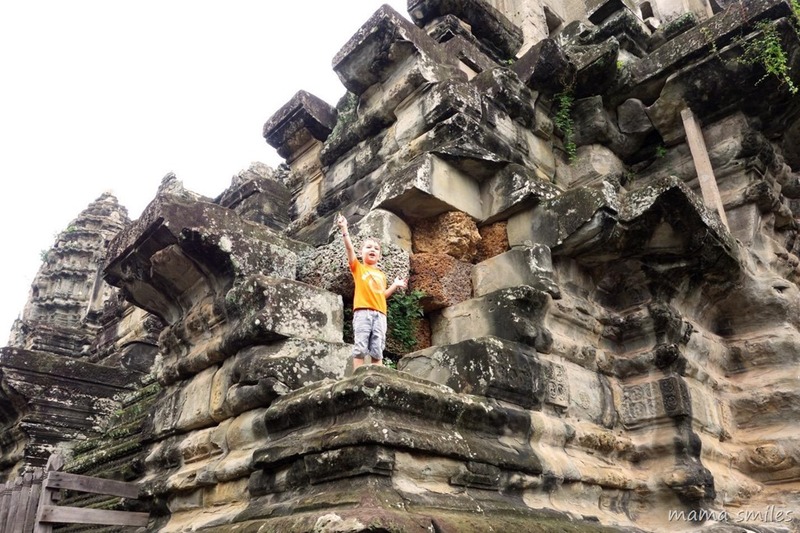 I have heard great things about the ruins in Thailand as well! I can see why she wants to take photos for National Geographic, her pictures are wonderful! Aren’t they incredible? 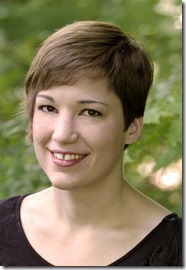 I was so happy that she wrote this up for my blog! Stunning. 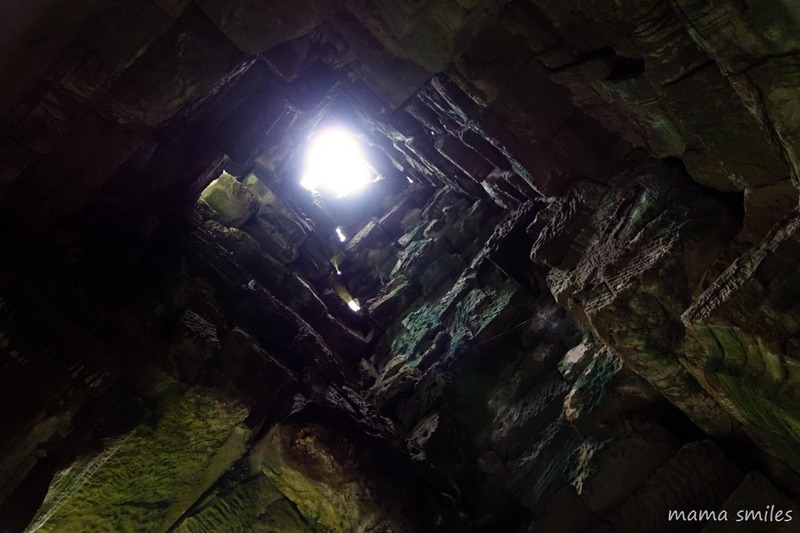 One of my friends visited this place and I was mesmerized with the photos. They seem so unreal. 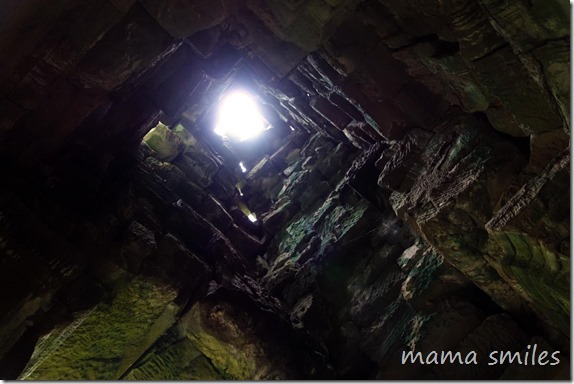 You are definitely lucky to be able to visit! Cambodia is on my bucket list. What a beautiful and mysterious place! Thanks for sharing a glimpse into this wonderful country! 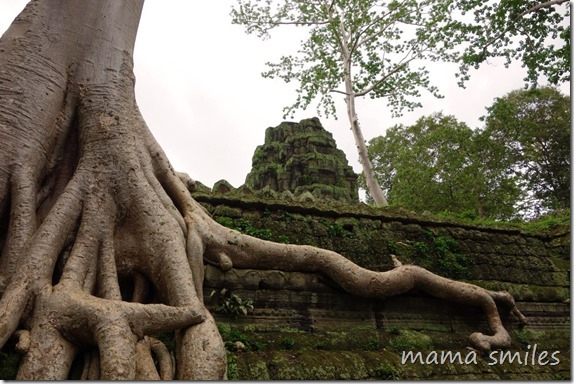 It is amazing how the trees grow into the temples! Must be amazing to experience.